A style of black and white not usually associated with wildlife. Street photography is a better fit. 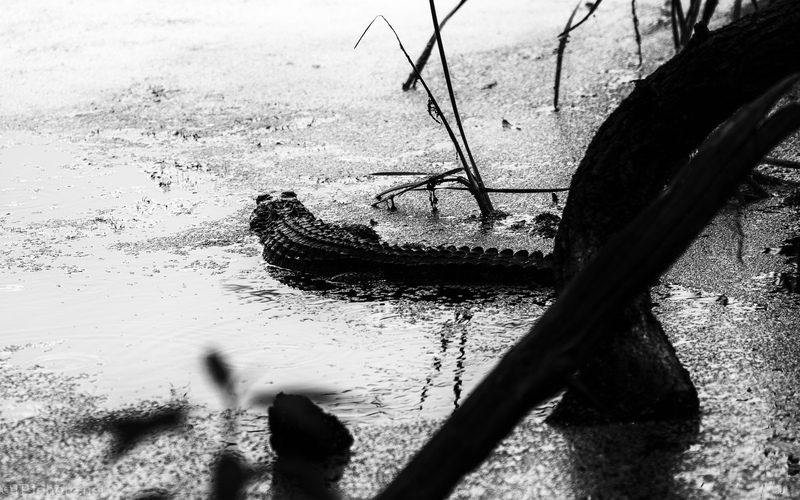 That said, this Alligator image is all about how they hide in plain sight. I moved it from color to B&W, pushed contrast, and decided I liked it.